This Superstition Pullover Hoodie has a slim fit. If you prefer a roomier fit, we recommend you size up. Ward off bad luck and evil omens with this premium all over print hoodie. 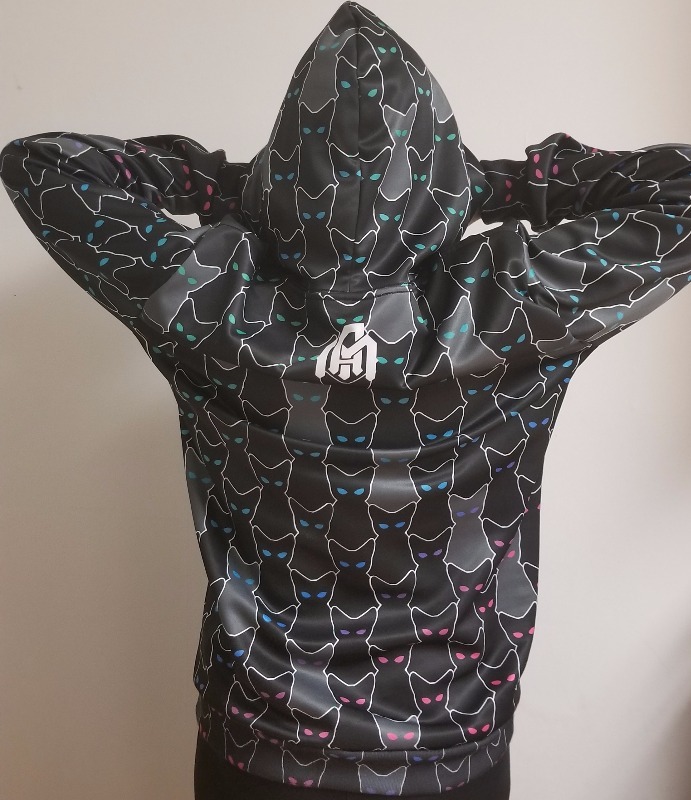 Its spooky cat pattern make it the perfect creepy hoodie for Halloween, while its breathable fabric will have you bringing it out year round. Superstition Pullover Hoodie has a rating of 4.67 stars based on 6 reviews. I love this hoodie! I wear it all the time and people often comment on how much they like it. Always love the IntoTheAM products I purchase, never have I received a product I haven't appreciated. All products have come in promptly and as described and displayed online. Have purchased 4 hoodies now with no regrets! I&apos;ve never had a hoodie like this before. The material feels amazing and I love it.